Aislinn has always seen faeries. Powerful and dangerous, they walk hidden in the mortal world. When the rules that have kept Aislinn safe from them stop working, everything is suddenly on the line: her freedom; her best friend, Seth; her life; everything. If you're an urban fantasy writer or fan, please use this space to discuss the genre and how Wicked Lovely fits in. What makes urban fantasy different from, say, high fantasy? Why has it caught on at this particular time in history? Is it here to stay? and is Wicked Lovely fully a part of the urban fantasy subgenre, or does it contain elements of other types of fantasy as well? You might want to take a look at the bookmarked resources before addressing this topic. I read both Urban and High fantasy novels, and the difference is that Urban Fantasy it's set in our world. This, I think, is the big appeal of it. In Laura Anne Gilman's article The Lasting Appeal of Urban Fantasy she writes Urban Fantasy is popular because "it recognizes a need that the other aspects of fantasy often miss: to wedge the impossible, the fantastic, into the everyday minutia of modern life." And I think she's totally right. Let's take the biggest example of YA Urban Fantasy, Harry Potter. Who didn't hope that one day a letter would arrive inviting us to join Hogwarts? (Admit it, we all hoped) And it all was because the story is set in our world. The possibilities, the "magical and mystical what-ifs" as Caridad Piñeiro says in The Success of Paranormals, are what people crave. I think the UF genre is here to stay. 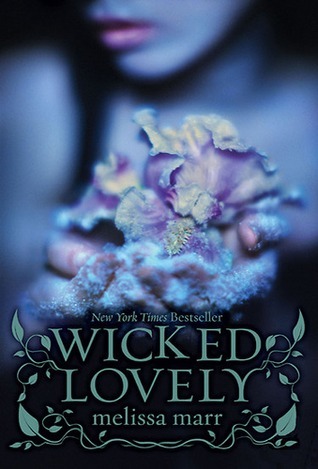 Personally, I wouldn't call Wicked Lovely an urban fantasy novel. The difference I see between Urban Fantasy and Paranormal Romances, is that UF concentrates more on the plot and action with some romantic elements, while PR is all about the romance. Wicked Lovely's story revolves around Aislinn's romance with Seth and Keenan, so I see it as a paranormal romance. It is set in our world, and has the fantasy elements with the faeries and all, but the focus of the story is the romance. Engaging in a romantic relationship with Seth, rejecting a romantic entanglement with Keenan, setting the rules of their rule of the Summer Court based on her keeping a human lover, etc. If Wicked Lovely is a paranormal romance, then how do we deal with the fact that Aislinn is attracted to two different men? In much of the romance genre, a cardinal rule is the one-man/one-woman relationship. Even a fleeting attraction to another is prohibited, because the romantic fantasy is of a once-in-a-lifetime love relationship. With that said, a lot of romantic YA (which I would not call classical romance) has love triangles; just think of Twilight as an example. So maybe, for younger readers, the romantic fantasy is that of being desired by more than one man, and of allowing oneself to play with feelings for two men before deciding on one. What do you think? I agree. Love triangles in YA are a sure way to lure in the masses of teenage fangirls with their Team [Hotguy1] and Team [Hotguy2] t-shirts. But I still think it's about finding that once-in-a-lifetime love, only now it's a multiple choice so the heroine has to experiment and see who is really the one for her. In Twilight, even after Bella makes her choice by picking Edward, she still struggles with her feelings for Jacob. In Wicked Lovely, even though Aislinn swears she wants nothing with Keenan, she still struggles with being attracted to him while still loving Seth. I think that struggle to choose the right guy is what attract readers, because the heroine is empowered by having that choice. "So you're running again, then?" One of his boots thudded on the floor. The other boot hit the floor. "Really?" "Really. It's just—" She stopped; she didn't have anything that would finish that sentence and be honest. "Maybe you should slow down, so I can catch you." He paused, waiting.